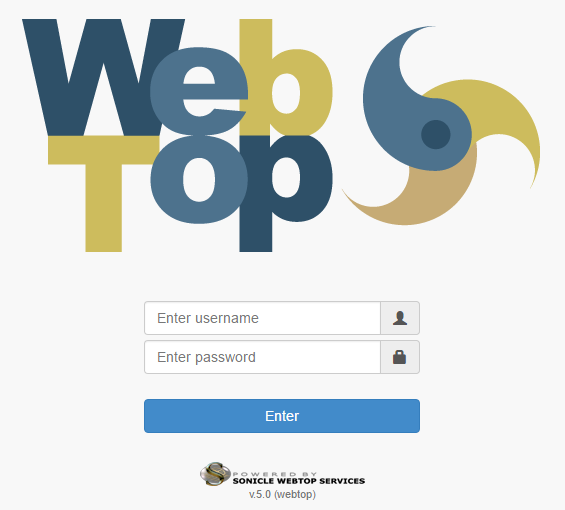 Nethesis and Sonicle are pleased to announce that WebTop 5 will be one of the main features of NethServer 7. After a long and proficuous discussion between Sonicle and Nethesis developers, we agreed to focus on a better integration between NethServer and WebTop. WebTop 5 is becoming a fully Open Source project and we have the opportunity to build together our own groupware and not just add a groupware on top of NethServer. We strongly believe in the Open Source collaborative model, working very closely with developers who have our same values and beliefs. We can work together, aligning our goals and objectives. While this would have been hard with other projects, we can take NethServer and WebTop to the next level. We can achieve it together, following the NethServer way. WebTop developers asked us to develop their project under the wings of our welcoming community, how could we refuse? NethServer is modular, and will always be possible to install alternative solutions if someone wants to develop them. As members of this community, we continue to help other developers in endeavoring the integration of alternative solutions. We’ve just released a beta of nethserver-webtop5 package but we can’t publish all the source code right now. Since WebTop uses a commercial version of Sencha Ext JS library, there are still minor legal issues, but @gabriele_bulfon and @matteo.albinola are working hard to resolve it. We tried to draw a draft of WebTop roadmap for the upcoming year, but we are always happy to hear your feedback and change development plans accordingly to the community needs. How to contribute right now? Provide your feedback and report bugs here! All WebTop 5 related discussions can be assigned to the #webtop category. What's the official NethServer groupware? 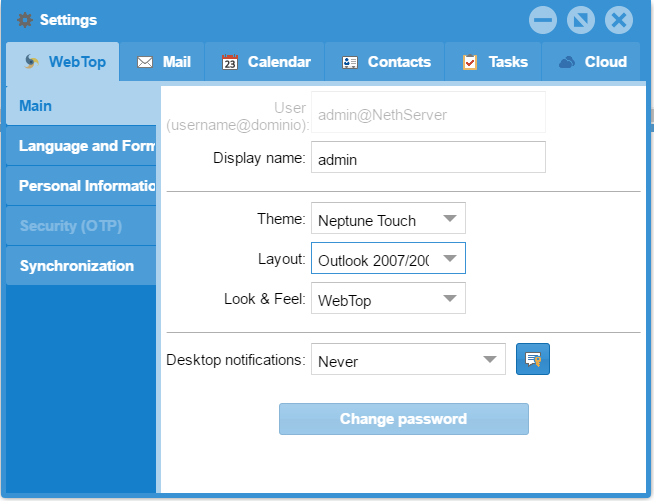 Which primary mail client in NethServer? Great to hear something constructive came from the talks between NethServer and Sonicle. Congrats to all! What does local LDAP account provider mean? Only the OpenLDAP account provider or can also the local Samba4 AD accountprovider (in a way Samba4 AD is an LDAP provider too) be used? The install command uses nethserver-directory: only OpenLDAP local accounts provider works by now. Now it should work also with local Samba 4 provider (nethserver-dc). I played a little bit and changed the theme to “Neptune” and the layout to “outlook 2007/2003”. We are working on a way to open up translations. Are you interested in translating it to Russian? Yes, interested in Russian translation. I do not know whether you have the Transifex support. Before activating our Transifex for Webtop5, we have to resync all the source repository, that we heavily changed just recently to support a lot of stuff regarding APIs: that’s the main reason why the git repo is not updated yet. We will update the source git repo next week, with the new structure. After that, we will start linking translation files at Transifex to the git repo files. Just give us some more time for this. Please restrict access to change root folder in settings mail. Sorry but I didn’t understand. Could you please explain a bit your suggestion with an example?